Every year, the MA in Global Media Management sends students on a Study Visit to a different city. Our 2018 destination was Oxford, which GMM students and staff visited earlier this week. This year’s theme centred around the concept of transmedia worldbuilding: creating spaces in, outside, and around multimedia narratives. The first part of the study visit involved a trip to the Oxford Story Museum. This museum creates immersive, interactive spaces designed to bring books and stories to life, deepening visitors’ engagement. Students took part in a Building Narrative Environments workshop, which looked at the principles behind the museum’s approach to storytelling, and at how they go about creating their spaces. Students learned about the various ways in which the museum provides immersive experiences—for example their story session for toddlers, or their Extreme Reading Adventures project, which works to re-engage reluctant or struggling readers. 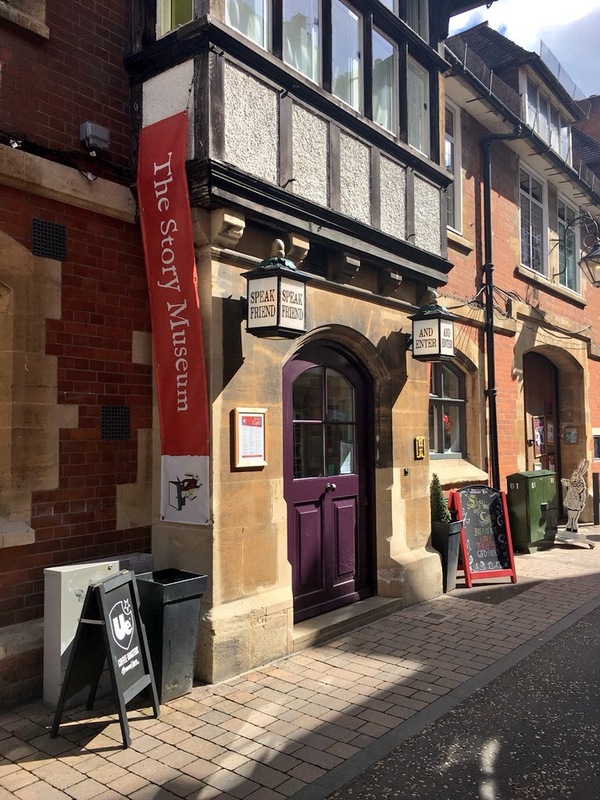 The Oxford Story Museum aims to take us into the world of the story in a real and physical way, and they look at story in all its forms: oral, written, film, digital. The second part of the study visit was a transmedia ‘tour’ of Oxford, realised in an interactive Google Map. Students used this to explore of some of Oxford’s most famous filming locations, immersing themselves in the ‘world’ of stories like The Mummy (2017), Transformers: The Last Knight (2017), and the Harry Potter franchise (2001-2011), and considering how these fictional stories interact with real spaces. They were also asked to add something to these storyworlds themselves, by taking photographs and video at each location and tweeting them using the #GMMTransmedia hashtag. After the day was done, GMM students and teachers made the inevitable trek back home—some with souvenirs and mementos, all with fresh perspectives on how stories are made and sustained. It was my dream in my childhood!!! "Because stories are important. People think that stories are shaped by people. In fact, it’s the other way around. Stories exist independently of their players. If you know that, the knowledge is power"